Open Instagram on your phone and you will see that every third person is a fashion blogger. And chances are that all of these bloggers are between the ages of 20-40. One woman, however, is breaking the norm. 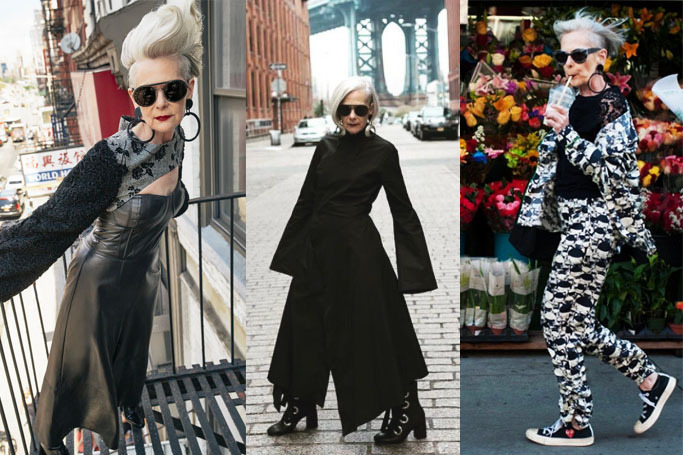 Meet Lyn Slater - a 63-year-old renowned fashion blogger. How did she become a blogger at this age? Accidentally (hence the name of her blog - Accidental Icon). Before taking the fashion industry by storm, Slater was a university professor and social worker. She was in New York during New York Fashion Week and was going to have a lunch with a friend who she was going to meet outside the Lincoln Centre. Out of nowhere, a swarm of paparazzi started taking her pictures as they thought she was a fashion icon. It must be noted that Slater was wearing a Yohji Yamamoto suit and carrying a Chanel bag. In an interview with TODAY Style, she said, "All of a sudden these photographers started to surround me and take pictures of me. A couple of journalists from Japan had approached me and were asking questions. Tourists started to see this and thought, 'That must be some important person in fashion!' so they started to take pictures of me. I had a huge crowd of people around me." "I was absolutely hysterical about it," said continued. "My friend and I started laughing. We were like, oh my gosh, you're an accidental icon! And I thought that would be the perfect name for my blog." The most interesting thing about Slater's blog is that she never addresses her age and does not discuss her being old. She addresses fashion as fashion - age no barrier. It is no wonder that her largest following is women aged between 25 and 35. Slater is making women all over the world feel like they can do whatever they want at whatever age.